FlapJack carbohydrate bar ideal for before and after workouts. Palm Oil FREE. Micronized oat flour to add to your shakes or to cook healthy bakery. 100% Thin Bio Oat Flakes. Without added sugars, preservatives nor colors. 100% Natural and ecological, suitable for vegans and vegetarians. 100% bio thick Oat Flakes. Suitable for vegans and vegetarians. Source of Fiber. Without added sugars. Delicious muesli bars. Available in several flavors. Perfect snack at any time of the day. Great product to make some delicious protein porridge super quickly and easily. The flavour is quite pleasant. I use this product for breakfast to make some porridge, I like adding some fruits and nuts on top as well. A complete meal and also delicious! This porridge is officially my favourite breakfast! I love the creamy texture and the flavour is fantastic! I hope you come up with more flavours! I like using oats for cooking my own bars and breakfast. The texture and the flavour are quite pleasant. Really a great way to instantaneously digest low glycemic carbs - 1 hour before training. 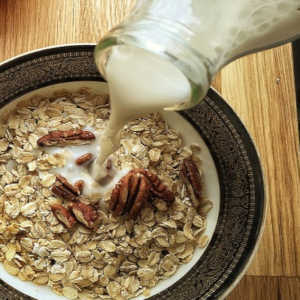 Oats are one of the most nutrient-rich and beneficial cereals for our health. Avena sativa, commonly known as oats, form their grains in panicles that grow in different branches. 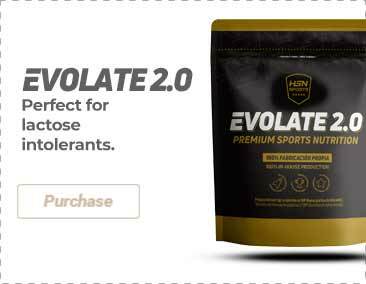 It is one of the most used cereals in the diet of athletes, not only due to its high content in complex carbohydrates and proteins, but also thanks to its nutritional advantages. It has a high fiber content, rich in vitamins, minerals and antioxidants. 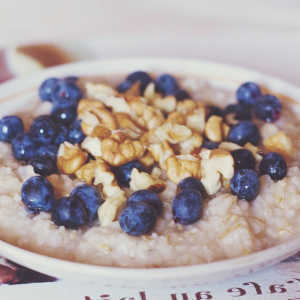 Oats are one of the most popular cereals in the fitness world. It is rich in low IG carbohydrates, vegetable proteins, fiber, vitamins and minerals. There are several brands that sell oat flour in the market. Sometimes they come with raisins and nuts. Surprisingly, bio oat flour can be purchased at a very affordable price, but only if it comes directly from the producer. When it comes to sweet oat flour, it is easy to find a product from natural cultivation which is also GMO-free and that is also supported by a specialized technology that avoids the presence of weevils and any other kind of biological contamination that may cause intestinal discomfort. They are often made with a calorie-free sweetener with a pH regulator in order to balance the acidity of the product. We suggest our oat flour by HSNraw, especially the instant oat flour with strawberry and chocolate-coconut flavor, which dissolves very easily without the need to use a shaker. It is perfect to make breakfasts, afternoon snacks, and to cook protein pancakes and brownies. In HSN you can purchase oat powder which dissolves properly in your shakes, since it blends really well with liquids (water, juice, milk, etc) and it does not produce any lumps. 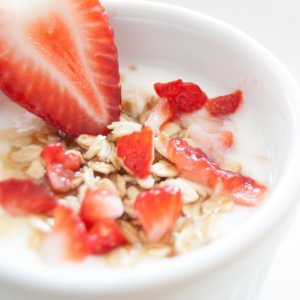 Oat powder is also available in a wide range of flavours: natural, chocolate, strawberry, vanilla, custard cheesecake, etc. This opens a world of possibilities when it comes to preparing your shakes or to cooking delicious recipes! 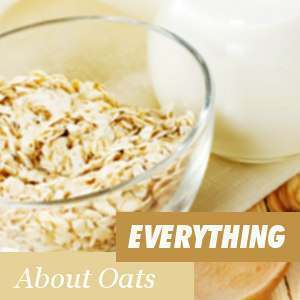 Oats, whose scientific name is Avena sativa, are an herbaceous plant of annual cycle, which belong to the gramineous family (also called Poaceae), which are largely included in the monocotyledon phanerogram plant group. They are commonly known as one of the most important members of the vegetable groups in the Food Pyramid: cereals. As it can happen with any product that we consume, oats can also cause some side effects, that is why it is highly advisable to know about their possible inconveniences before starting to consume them. It is hard to find reasons why we should not eat this cereal. The truth is that we can add it to our daily diet without any issue, although it is advisable to eat other cereals as well in order to follow a balanced diet. It is also important to know how and when to eat oats. Oat flour stands out due to its high antioxidant content that stops the rancidification that naturally affects all the foods that contain significant amounts of fat.